Embracing the design-for-women-only trend, Japanese automaker Honda has released a new car model designed especially for women. The ‘Honda Fit She’s’ has a “Plasmacluster” air-conditioning system that the company claims can improve the driver’s skin quality, and a special windshield glass that blocks out 99% of UV rays—all aimed at lessening the chances of wrinkles. It sports a pink exterior, pink stitching for its seats, steering wheel and floor mats, and metallic pink bezels around the shift and dashboard. 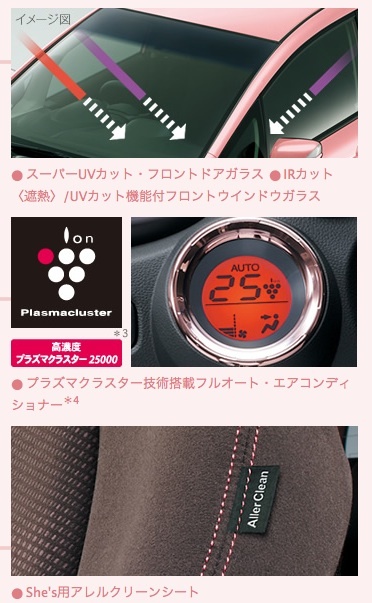 If pink’s not your color, the model also comes in shades of brown and white, that Honda hopes would complement women’s eyeshadow color—according to Yomuri Shinbun newspaper and translated by Yahoo. 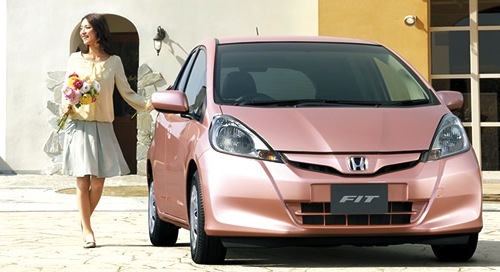 Currently, the Honda Fit She’s only available in Japan.